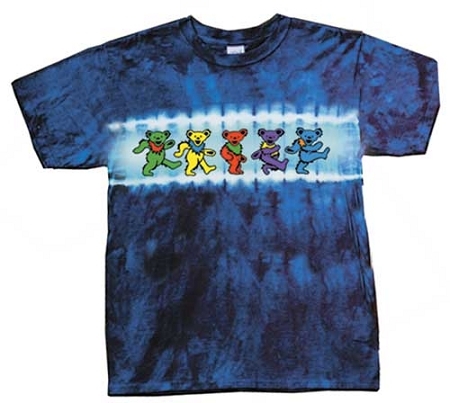 Start them young with this kids Grateful Dead T-Shirt. 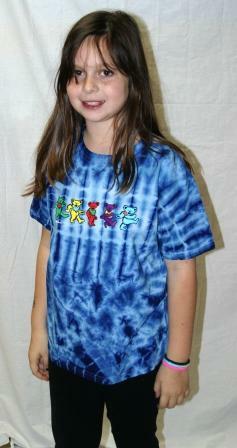 All blue tie dye on 100% cotton t-shirt with a row of dancing bears going across your little ones chest. Officially licensed Grateful Dead merchandise for little deadheads.